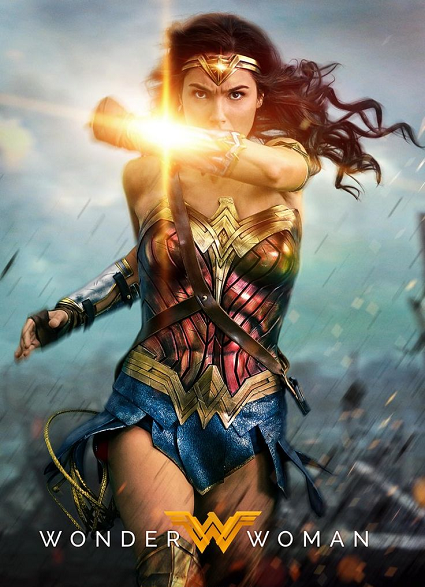 This 2017 feature of Wonder Woman did $504.9 million in profits, with many mixed reviews which led to the slow-growing sales. Wonder Woman is the second hero of the Justice League to have a solo movie. This film starts out in the present day, Â sometime after Superman’s funeral in Batman V Superman. Lex Luthor knew of Diana’s presence and chronological age through a photo taken back in World War 1.Â This film deals more with that time period instead of the present day. The original photo was later obtained by Bruce Wayne and given to Diana as a gift of good faith between the heroes. The audience is taken back in time where Diana is growing up onÂ Themyscira. Beginning from an early teen, Diana is secretly training to become a warrior against her mother’s wishes. When this was later found out, Diana was admitted to further training, only on the conditions that her training will be harder than what any Amazon has faced. Later, ThemysciraÂ is accidentally discovered by the opposing teams of the current world war. Upon receiving information on the world war, learning the deaths of millions especially woman and children, Diana concluded Ares is the main culprit to the world issues. Diana chose to leave her home hoping to defeat Ares, thus ending world conflicts forever. What Diana learned after Ares’ defeat was mortals could no longer be influenced by the Gods of the past and had the free will to decide peace or war among themselves. Diana’s mission to defeat Ares was reminiscent of Captain Rogers during his crusade against the Red Skull. In the cinematic timelines of DC and Marvel Comics, Captain Roger’s heroic past was during World War 2 while Diana was in the first World War. Captain America is a biological experiment that was able to dominate the battle field. He turned the tides of the war, seemingly destroying the infamous Hydra, thus spreading his name worldwide. Wonder Woman is a demigod warrior, who easily prevailed during battle because of her powers passed down from the Gods. Her love for the innocent kept her actively involved through the decades protecting the freedoms of the innocent. After the release of this film, Batman V Superman seemed to flow nicely with the story line of Wonder Woman. Diana took witness of the rise and fall of Superman, an alien with similar strength levels to her own. Batman was someone Diana isÂ impressed by because as a mortal with no powers, his commitment a world hero is common with her core beliefs. More than likely, Batman reminds Wonder Woman of Steve Trevor, a mortal soldier willingly to put his life on the line for the innocent. As such, Diana helped Bruce find the meta humans that were found in Lex Luthor’s computer files. Diana grouped herself with exceptional men once before to take down Ares, now she will do so again. This time the threat is coming from deep space and her band of warriors are standalone heroes like herself that will unite together in the upcomingÂ Justice League movie. Was Wonder Woman educated aboutÂ universal beings in Themyscira or will this become a whole new experience for the Amazon to face? What are your thoughts for this Wonder Woman release? Leave your comments below andÂ Check Out Side Show Collectibles for exclusive statues of Wonder Woman!!! Avengers: Infinity War Movie Review!